Since 2014, Chiesi Foundation is actively developing its own program in the field of neonatology: the NEST - Neonatal Essential Survival Technology - Project. The project was created from a reflection on the existing inequalities in terms of access to appropriate neonatal care in the different regions of the world. 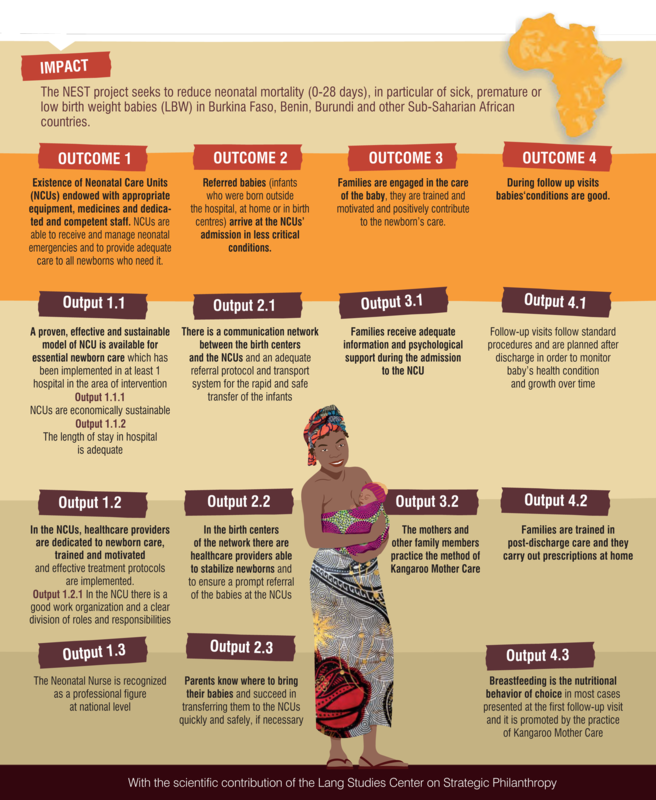 The NEST Project aims at reducing neonatal mortality rate by improving the quality of neonatal care in countries with limited resources, with specific attention to premature, sick, unwell and small for gestational age babies. Within the NEST Project, Chiesi Foundation is working with the Saint Camille Hospital in Ouagadougou (Burkina Faso), the Saint Jean de Dieu Hospital in Tangiuetá (Benin), the Hospital of Ngozi (Burundi) and the Hospital Yendube des Enfants in Dapaong (Togo). Moreover the Chiesi Foundation supports training programs in Azerbaijan, Mongolia and Ukraine in the framework of the "School of Neonatology" project.